Additional one hour (0-59 minutes) is free of charge. From one hour (60 minutes plus) up to two hours a fee of 10 euro is charged. For more than 2 hours an extra day is charged. Taxes include: Liablity insurance, Autocasco insurance, Road taxes, limited theft and damage coverage. 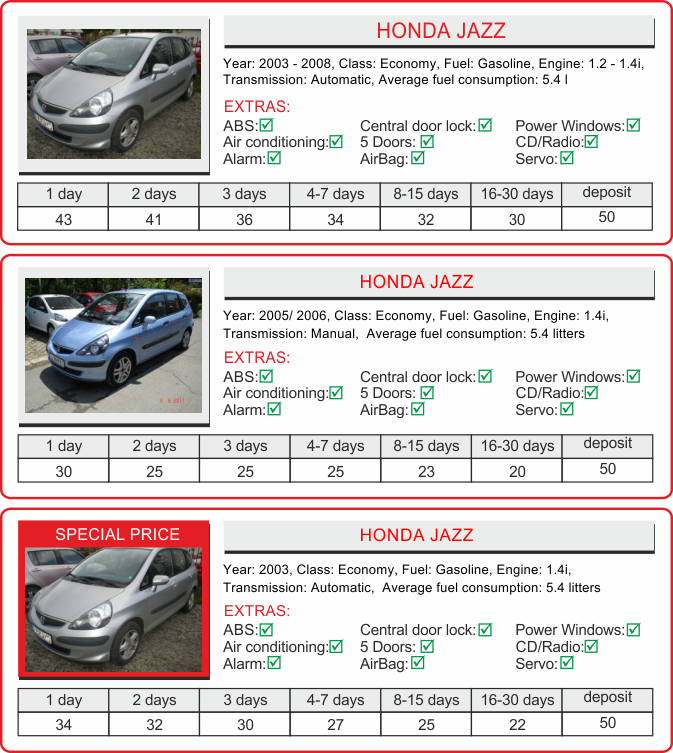 All vehicles are rented with a full tank and must be returned with a full tank. Fuel is not included in the rental charge. For cars not returned with a full tank the customer will be charged for petrol or diesel fuel € 2 per litre for the litres insufficient. 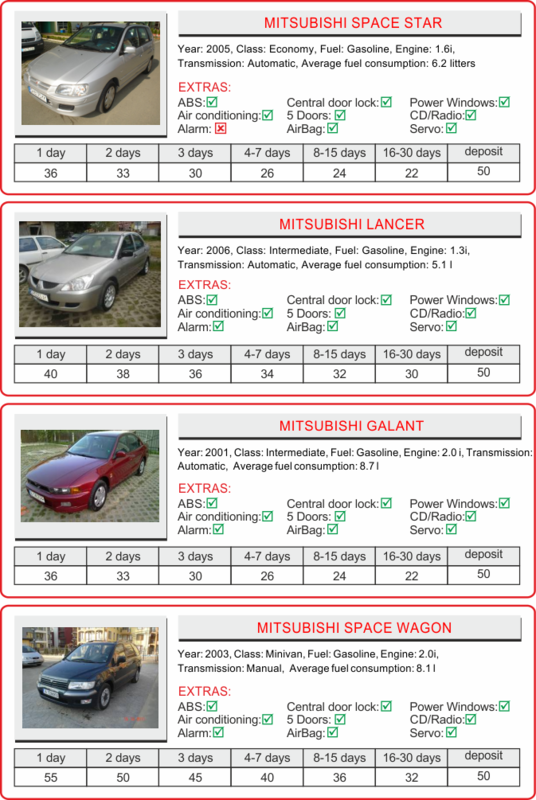 The minimum age for renting a car from Economy class is 18 years and for Luxury class is 23 years. For all other car classes the minimum age is 21 years. A driver must hold a valid passport with permanent address and a valid driving license for at least one year before the rental. Additional driver hired from the rent-a-car company is charged with a fee of 25 euro/up to 8 hours/. 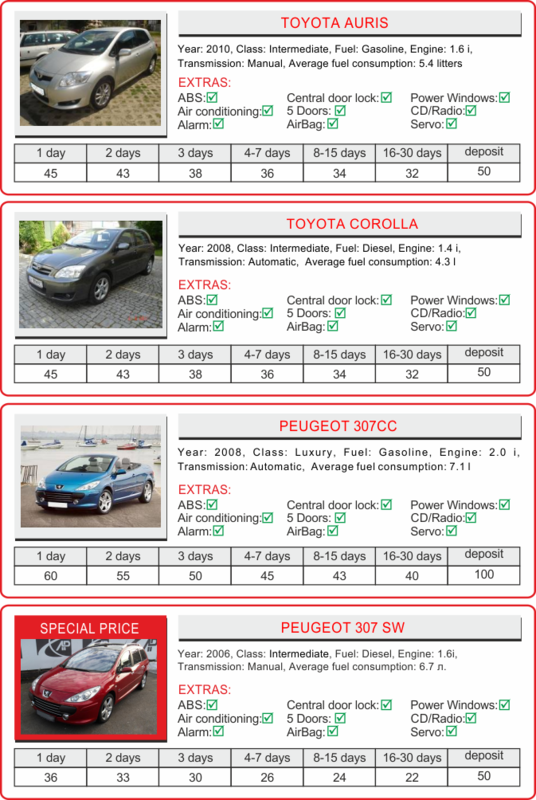 Baby car seat rental – 5 euro/paid once/, isofix car seat rental – 10 euro/once/, car carrycot rental – 10 euro/once/. 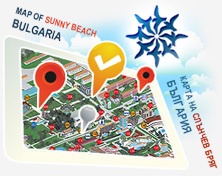 Delivery / Collection service is free within the limits of Sunny beach. Delivery/ Collection to/from St.Vlas/Elenite/ Ravda – 5 euro. 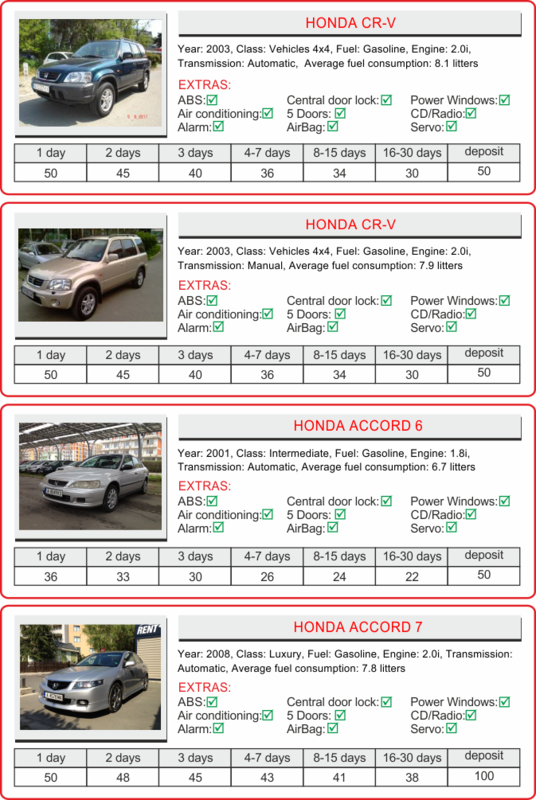 Delivery/ Collection to/from Bourgas airport – 15 euro one way. 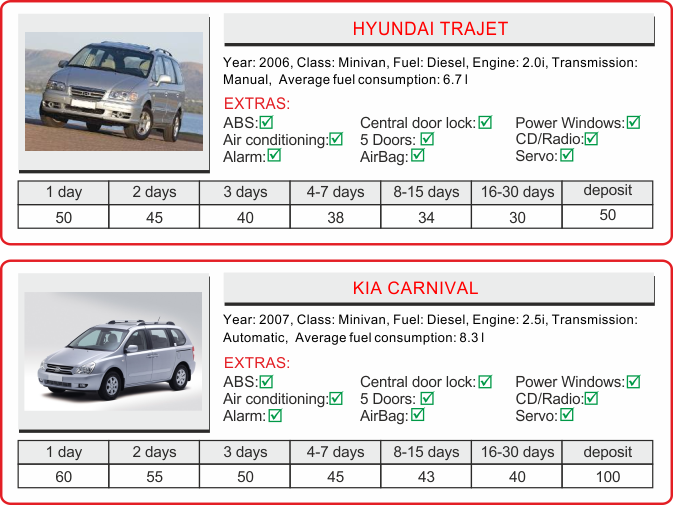 Delivery/ Collection to/from Varna airport – 50 euro one way. 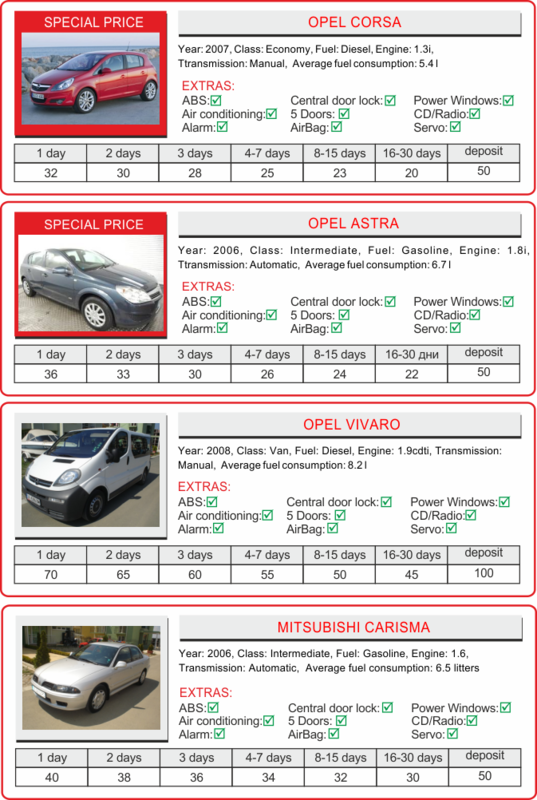 Delivery of the vehicle beyond working hours / 20:00 - 08:00/ - 10 euro. When traveling abroad an extra charge is paid /negotiable/.